April 10, 2017 – The Chicago Cubs open Wrigley Field Plaza for the first time as Crane Kenney, the club’s president of business operations, says, “Our vision was to create a neighborhood center where families, fans, and visitors can find entertainment, unique and local food options and daily attractions in an urban park setting.” [Chicago Tribune, April 10, 2017] As part of the festivities the team hoists its World Series Champion banner at 6:15 prior to a 7:00 p.m. start of the first home game of the season against the Los Angeles Dodgers. The Park at Wrigley fills a triangular spot just to the west of the ballpark between Clark Street and Waveland Avenue. 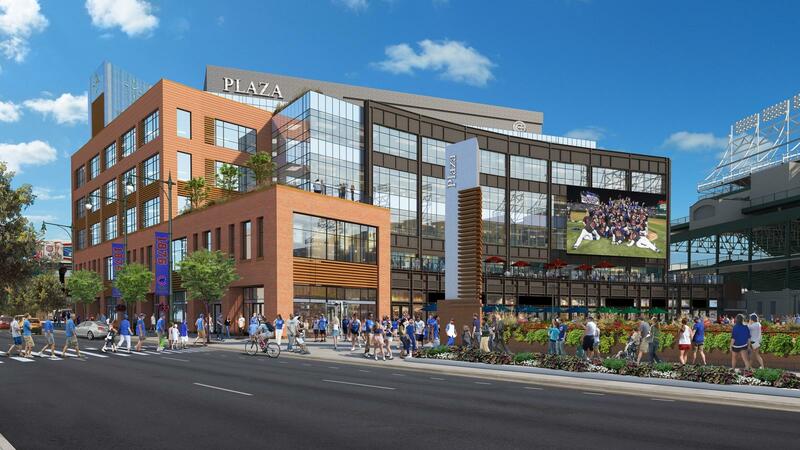 It features a two-story flagship Cubs Store that sells team gear and memorabilia. It also includes a fountain and an artificial turf mini-field on which kids can run around and adults can soak up the Wrigley Field ambiance. Plans are to use the area as an ice skating rink during the winter months. 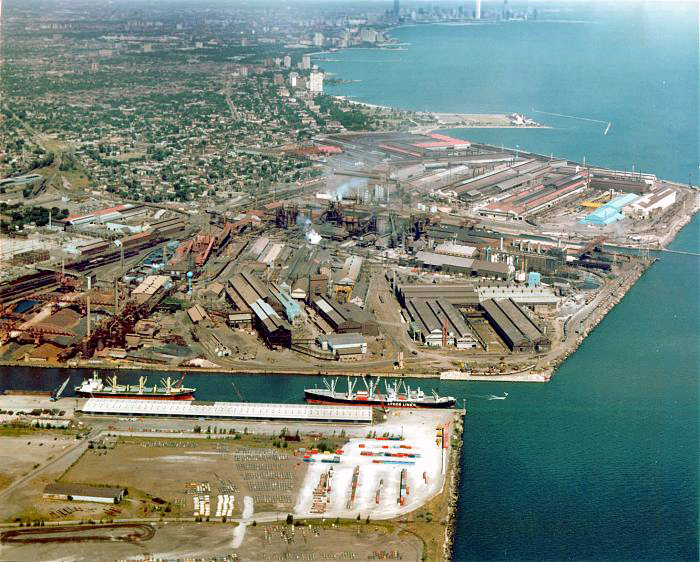 April 10, 1992 – The U. S. Steel Group’s South Works closes its doors, ending a run at this location that goes all the way back to 1882 when the company began as the Chicago Railway Mill Company, and the mill that once produced steel beams for most of Chicago’s skyscrapers and jobs for thousands of area residents” ends its run [http://forgottenchicago.com/articles/south-works/], leaving an uncertain future. A U. S. Steel spokesman, Thomas R. Farrall, says, “We want to get value from the facilities. The mill is one direction real estate and development is another direction.” [Chicago Tribune, April 10, 1992] About 730 workers will lose their jobs with the closing. Only 30 of those are eligible for pensions. Various development schemes have been hatched over the intervening years. The latest one for the 420-acre site, released early in 2017 envisions a build-out in four phases, each phase contributing 3,000 low- and mid-rise buildings, built around a harbor and spread over 30 city blocks along the lake shore. The area that the South Works covered is shown in the photo above. Imagine the view of a future resident as he or she looks across the lake toward downtown. bill sponsored by State Representative William E. Pollack, a Republican from Chicago, to locate a four-year campus for the University of Illinois on the North branch of the Chicago River around California Avenue. "The university's budget requests have been cut drastically." states the editorial. 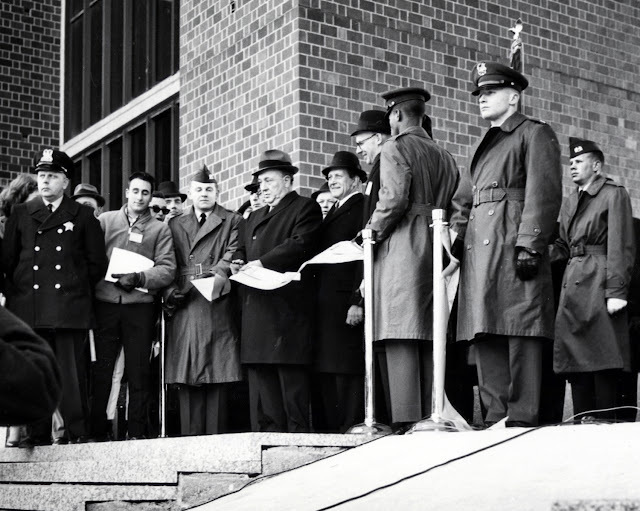 "For the university to expand its operations and expenditures in Chicago when it can't get enough funds for the proper operation of the facilities that it now has would be the height of folly." [Chicago Daily Tribune, April 10, 1955] Ten days later Mayor Richard J. Daley would begin his first term as the Mayor of Chicago, and he would say toward the end of his career that helping to arrange for a branch of the University of Illinois in Chicago was his greatest achievement. The university's library is named for him. The photo below shows His Honor officially opening the new university on February 22, 1965, ten years after and over six miles south of Representative Pollack's proposal. I love when new interesting shopping centers open. And especially in Chicago. This is my favorite city for me. I also know that all young people like to spend a lot of time in shopping centers: shopping, cinema, entertainment. So, I want to advise the service https://1custompapers.com/do-my-homework/ where you can order homework or writing an essay, if you suddenly forgot about it when you have fun. Thanks for your useful information!